Based in Durham we specialise in providing photography at Durham University events, both large and small, aiming to tailor our services to your requirements. We have over 20 years experience in providing photography and attending Durham Uni events, and we are happy to meet with any event organiser to discuss ideas and pass on any advice / contacts that we can - we've seen most things over the years!! We can provide both static ("Studio" photographers) and wandering (less formal) photographers, and we also supply PHOTOBOOTHS. For the static photos we can provide our own plain / themed backgrounds (we have lots to choose from! ), or we can use your own custom design as a backdrop. A recent addition to our backdrop range is the white - "high key" style photography which works well at certain events, and at others the more traditional styles of backgrounds provide the better choice. 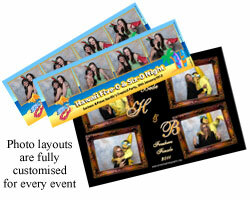 We aim to provide a fun ent for any event, providing treasured memories for the future at an affordable price. For examples of the various styles of photography that we can provide, please visit our portfolio section. CLICK HERE for a list of RECENT EVENTS available for viewing / ordering online FROM THIS TERM. We offer a wide range of photo products as standard, including unmounted photos of various sizes, up to poster size, and photos in hand-made quality card mounts. We can also print photos from this website onto keyrings, or you can purchase the high resolution digital file for use anywhere, copyright free. Photos from Recent Events Photos from events will be put online within hours of the end on an event, so check these web pages regularly. Recent events will be listed on the left of this page, and all events will be listed by the term in which they take place, so click on Michaelmas, Epiphany / Easter to view the events from these terms. Alternatively, use the search engine on the left to find the event you are looking for. Studio Background Options We have a huge range of backgrounds to choose from for the more formal "Studio" photography that we provide, from the modern pure white background, through to more traditional simple patterned backdrops, and the more specific themed backdrops more suited to fancy dress events. Click Here to view the range of backdrops available to choose from. 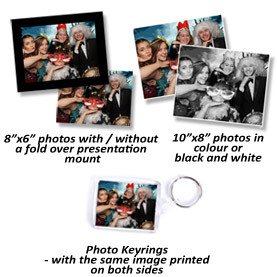 Hashtag Print Station New for this year - we now have an exciting new ent that lets your guests turn their own photos into themed mementos that they can get printed on the night of the event - it's so simple! Think candid, spontaneous memories - the ultimate addition to any Ball and guaranteed crowd pleaser - Photobooths are a fantastic complement to the more traditional studio and wandering photography services that we provide. 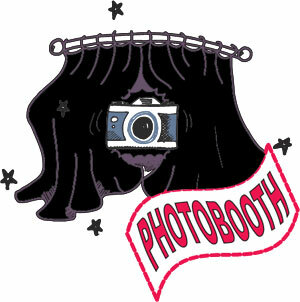 The booth is a modern day digital version of those passport photobooths you may have found at train stations in the past, but instead of taking ID photos, it takes fun group photos that create lasting memories from your event. All that's needed is a few people to step behind the curtain, push a button and let the laughter begin!. A series of four photos is taken with a visible countdown between each one, and once taken, the four photos are combined to make one print that's automatically printed and ready for collection on the outside of the booth within seconds.